Satoru Sayama was born on November 27, 1957. He is a Japanese Professional Wrestler, a promoter and a Mixed Martial Arts trainer. He is best known for his work as Tiger Mask. He’s wrestled under his real name as well as the names Sammy Lee, and masked Super Tiger, Tiger King, (Shodai) Tiger Mask and The Mask of Tiger. Weighing only 160 pounds, Satoru Sayama debuted in 1976 for New Japan Pro Wrestling, but considered too small for a permanent spot on the NJPW cards, he was sent abroad to Mexico. In Mexico he became famous and also trained with the legendary Karl Gotch. 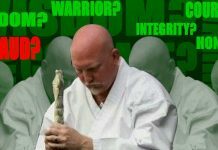 Later he moved to Britain, where he learned other martial arts and wrestled as “Sammy Lee”, the “cousin” of Bruce Lee. After his return to Japan, he was chosen to play the Tiger Mask character, based in a manga and on April 23, 1981, Satoru Sayama wrestled in the ring in the Kuramae Kokugikan as Tiger Mask. Japanese fans scoffed at the thought of the comic book wrestling hero playing a legitimate wrestling star, but Satoru Sayama shocked the Japanese fans in the arena by pinning Dynamite Kid with his German suplex. As a result, he was immediately regarded as the premier star in New Japan’s junior heavyweight ranks. Moreover, that match would be the first of many classic battles between the two men. He debuted again under the mask and became the founder of the junior heavyweight wrestling, introducing the lucha libre wrestling style in Japan. After some years of stardom, in which he had legendary feuds with Dynamite Kid and Kuniaki Kobayashi, he left New Japan in protest of Antonio Inoki’s irregular management of the organizations money. Satoru Sayama founded the Tiger Gym, a martial arts dojo, and shortly after was convinced by NJPW defectors to return to wrestling and join them in the Universal Wrestling Federation. 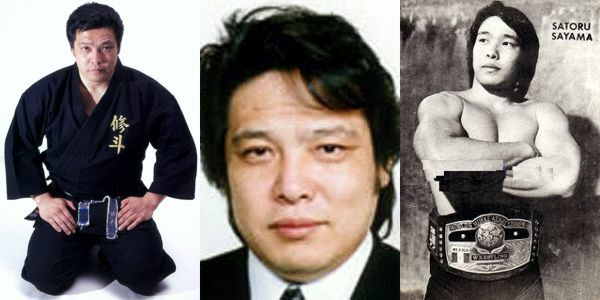 There Sayama adopted the “Super Tiger” moniker and he helped to create the shoot-style of wrestling along with others like Akira Maeda and Yoshiaki Fujiwara. After a fallout with Akira Maeda and other wrestlers in 1986, Satoru Sayama left to found Shooto, a combat sport/mixed martial arts system derived from shoot wrestling and the first mixed martial arts organization in history. 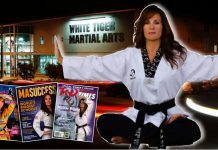 He acted as promoter and trained many future MMA stars. Sayama also returned to pro wrestling again by request of Inoki. During this time Sayama hosted the Vale Tudo Japan event, leading to the introduction of Brazilian jiu-jitsu in Japan, which drove Sayama to change the rules of Shooto to adapt them to the vale tudo rules. In 1996, after breaking up with Shooto due to disagreements with the board of directors, he freelanced in pro wrestling indies like Michinoku Pro Wrestling and UWF International, and collaborated with Inoki in his Universal Fighting-Arts Organization. 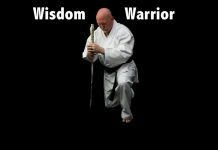 He ended founding a martial art called Seikendo and the Real Japan Pro Wrestling. On May 22, 2015 Satoru Sayam underwent heart surgery. On June 5, Sayama held a press conference, stating that he was not thinking about retiring from professional wrestling and he returned to the ring on June 23, 2016.